The notion that trees commune with one another, have memories and even feelings may seem far-fetched. But there’s actually some very compelling evidence that the experience of trees is far richer than we have imagined. 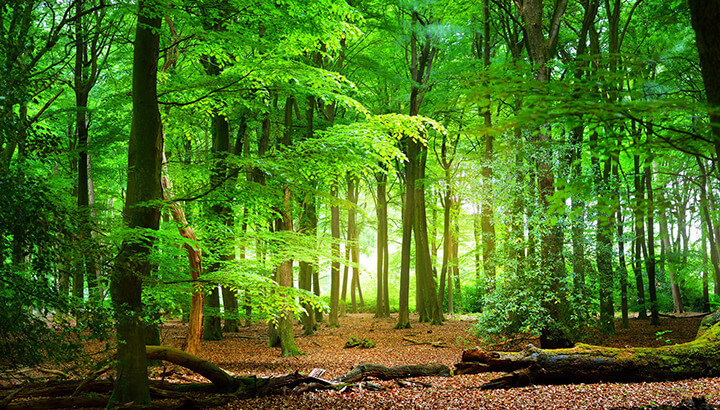 Trees can warn each other about impending threats, like insects. To begin with, according to Wohlleben, trees are able to tap into something he dubs the “Wood Wide Web.” No, trees do not send each other emails or texts messages, but they do exchange information via electrochemical signals transmitted through underground root structures and fungal networks. That’s right, trees even avail of different species (in this case fungal networks) to communicate information to their own kind. What do trees talk about? Apparently, individual trees can warn other members of their species about impending threats such as insect infestations. For example, if an individual tree is exposed to pests, it can send signals to other trees in the forest that prompt them to produce toxic chemicals in the leaves and bark that act as a defense mechanism. Individual trees do compete against each other for sunlight, but they also nurture and cooperate with each other as well. For example, healthy trees will often supply sickly or damaged neighbors with nutrients via their root structures. This kind of altruistic behavior is especially common when individual trees are immediately related to one another. This is evidence, Wohlleben contends, that trees are social beings that can recognize kin. Wohlleben says that trees “live life in the slow lane” because the signals they send each other travel at a fraction of the speed that human nerve signals do. But when you consider that the oldest living tree is almost 10,000 years old, then you can appreciate why trees don’t need to be the speediest thinkers. Wohlleben’s book and life’s work has called attention to the majesty of our woods and forests. In the past, people have tended to view trees as “organic robots.” However, it’s increasingly clear that is an impoverished understanding of this remarkable life form. Octopuses enjoy playing and solving puzzles. By any measure, octopuses are clever creatures. They can navigate mazes, unscrew puzzle jars and calculate the best route to a reward. But even more impressive, they are renowned for being escape artists and pranksters by their aquarium caretakers. 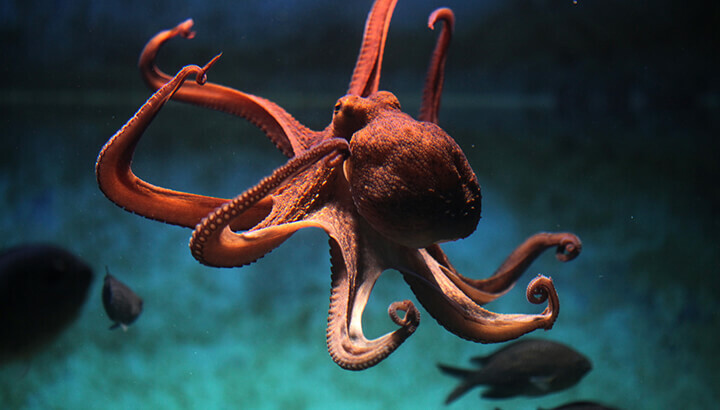 Interestingly, octopuses raised in captivity learn to identify and discriminate between their different custodians. For instance, they will often squirt caretakers they “dislike,” but they are inquisitive — even affectionate — with humans they like. Octopuses apparently like to play as well. Researchers have noted, for instance, how some octopuses enjoy “bouncing” small pill bottles around their tanks by using their jet streams. 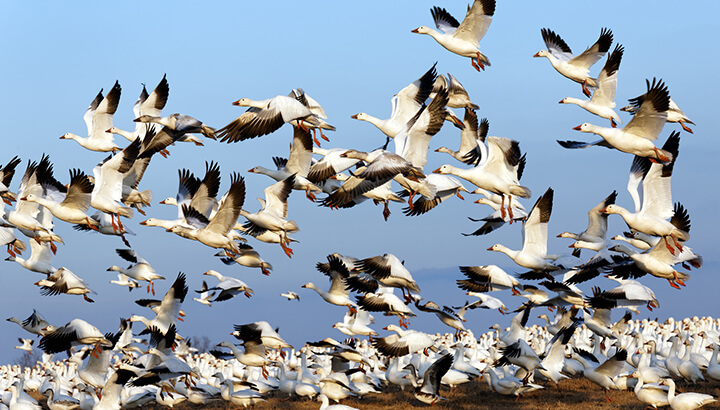 Scientists believe birds migrate according to earth’s magnetic fields. Most humans would be clueless if they had to navigate to their destinations without a GPS. However, migratory bird species routinely manage incredible navigation feats (while flying in synchrony no less). Many scientists now believe that migratory birds possess something called a “quantum compass,” which allows them to navigate according to the earth’s magnetic fields. The science of how they do this, as you might expect, is a lofty subject. Essentially, however, avian experts conjecture that birds have the ability to detect polarized light and very sensitive electromagnetic fields. The functional principles that birds employ to do this could help future technology wizards build quantum computers, which would be incomparably more powerful than today’s conventional data processors. Now, who would have thought we’d be learning from bird brains how to build the next generation of computers? We humans like to think of ourselves as the pinnacle of mental capacity. However, the more we learn about nature and the animal kingdom, the more it seems that intelligence is built into the fabric of existence. As we encounter other life forms, we are constantly made aware that we share this planet with mindful beings that we have much to learn from. Hey Buddy!, I found this information for you: "Strange Minds: Things We Can Learn From Trees, Octopuses And Birds". 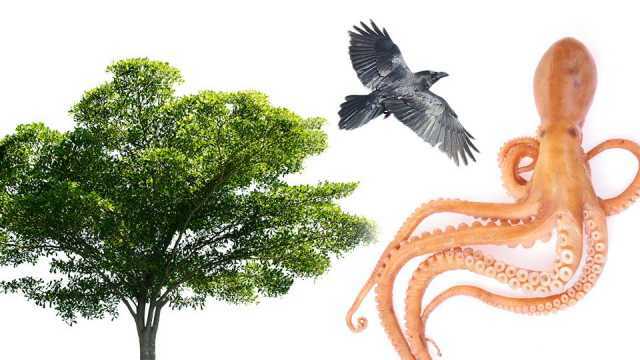 Here is the website link: https://www.thealternativedaily.com/things-we-can-learn-from-trees-octopuses-and-birds/. Thank you.